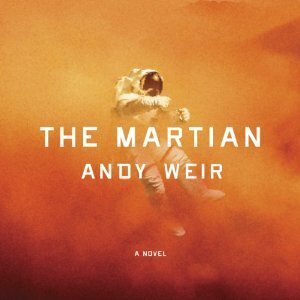 Mark Watney is an American astronaut who is left for dead after a destructive sandstorm forces the evacuation of the third manned Mars mission, Ares III. Unfortunately, he wasn’t dead; and now he is confronted with the enormous challenges of figuring out how to survive in a hostile environment with the odds against his rescue. Relying on his ingenuity, sense of humor, salvage from the base camp, and the efforts of the world’s space bureaucracies, Watney needs to figure out out to sustain himself with air, water, food, clothing and shelter – in the face of miscalculations, equipment failure, and adverse weather. The enormous amount of exposition required to set up each challenge, however remarkable for its seeming veracity in regards to technical issues and resolutions, is often boring and tedious; but the payoff for the tenacious listener is being able to fully share in Watney’s triumphs and setbacks – his experience as if we were there with him. The narrative follows Watney’s point-of-view, some action on Earth, onboard the spaceship Ares III, and every once in a while from a point-of-view dispossessed of any personality (recounting an action in which there are no plausible witnesses.) The narrator, R.C. Bray performs the role of the Mark Watney extremely well, lending credible voice to a character in an incredible situation. Bray also does well with the different genders and ages, though he does a little less well in rendering the foreign accents demanded of him; but the characters come to life and are well delineated. The story told clearly and with sensitivity to the characters’ personalities. 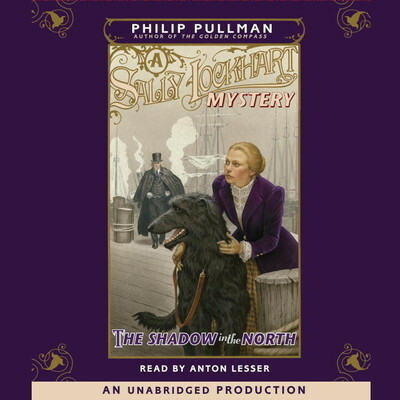 On a personal note, I almost gave up on this audiobook halfway through; but I’m glad I didn’t. Despite things happening in the story, it wasn’t clear that the story was actually going anywhere; And I wasn’t sure that the constant grind of having science & technology explained to me was worth the one-liners and/or the end result of each challenge. But I ended up being emotionally vested in the fate of Mark Watney, and consider the hours spent listening to his story well spent. “Fat Charlie” Nancy is a rather unprepossessing guy. He’s an accountant. He has a fiancée that he hasn’t slept with yet. He suffers from stage fright when confronted with a karaoke mic. When things get rough there’s nothing more than he’s like to do than find succor with a bit of goat curry and a cup of tea. But when his unrepentantly flamboyant father passes away, Charlie travels from his home in England back to Florida for the funeral. From there on out, Fat Charlie discovers things about his family, his brother in particular, and especially himself that are harrowingly frightening, funny and amazing all at the same time. This story is Afro-Caribbean in nature and feels very different from Gaiman’s usual style of weird, drippy, wet London. The story dazzles with bright sunshine, flashes with slick and clever dialogue, and echoes with the rhythms of ancient drum beats from West Africa. But Gaiman’s trademark other-world-that-is-nowhere, a land where reality has a rather tenuous grip and is fascinating for its strangeness is still here in the form of a dreamlike place where the world begins and ancient folkloric figures inhabit. Lenny Henry (Dawn French’s now ex-husband) is the British narrator who reflects the world beats of the story with relative facility: The English accents (natch) of Fat Charlie and other UK characters, and the smooth American voice of Fat Charlie’s brother in particular. While I wouldn’t say all his character voices (i.e. the older figures in the story) were on the mark, the rest of the cast, men and women alike, were well delineated without resorting to overly/extreme comic interpretations. There were a couple places where I didn’t catch a word; but overall, well paced, clear, and entertaining. 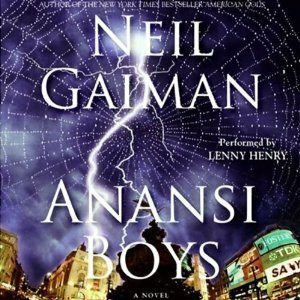 OTHER: I borrowed a CD edition of Anansi Boys (by Neil Gaiman; narrated by Lenny Henry) from the Jackson County Library System (Southern Oregon.) 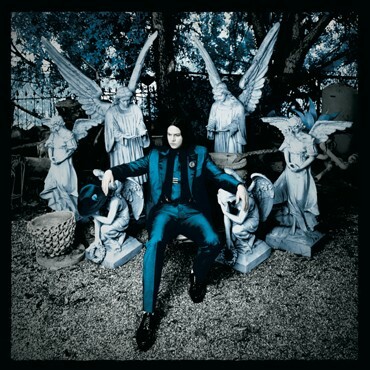 This title was #297 on my personal library index with an entry date of 06/23/2012. I receive no monies, goods or services in exchange for reviewing the product and/or mentioning any of the persons or companies that are or may be implied in this post. The gimmicks don’t detract from the music; but the gimmicks can prevent you from getting to the music. In addition to the the issues of linear turntables being unable to play reverse tracking; some turntables may not have the ability to play at 45 and/or 78 rpms (the hidden tracks.) You have to be careful where you drop the needle on Side A or else it will track toward the center and the hidden track. The hidden tracks are supposed to be played through the paper, which isn’t for the faint of heart. Having to change speeds for the hidden tracks, or having to drop the needle in a special place (on Side A to get the side “going,” or Side B depending on which intro track you want for “Just One Drink”) is an inconvenience . It’s really no big deal; but if it’s a hot sticky night after a stupidly long day, your patience is running thin, and you want to just sit back and enjoy the music, it’s a PITA. I have the Ultra LP (which actually also includes the code for a digital dnload) – and while I’m not sorry that I got it, I can definitely sympathize with those who would prefer to wait for the standard issue. 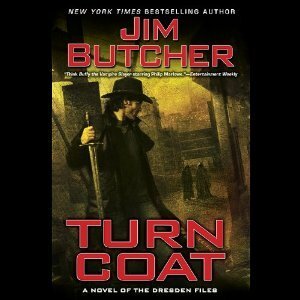 OTHER: I dnloaded a digital copy of Turn Coat (The Dresden Files, #11; by Jim Butcher; narrated by James Marsters) form the now defunct WeReadForYou.com on 11/23/2011. I receive no monies, goods or services in exchange for reviewing the product and/or mentioning any of the persons or companies that are or may be implied in this post.